For a long time my word meant everything. Standing at a bedside, I pronounced a diagnosis. Debate would then end. Medical students gathered round, listening to me pontificate. I spoke sagely (I thought) about my patient’s perhaps rare, certainly interesting, and often difficult diagnosis. The patient, too, might listen, anxiously, as I dictated, to my students and to her, my ideas about her care. Looking back, these long ago bedside scenes are like mini-dramas of stage or television, the leitmotif of which is my certainty. There was fog; it will now clear, I had said. There was mystery; it will now be solved. This is the diagnosis. And the prognosis? Well, the timeframe is imprecise, a month, a year, but certainly, I declared, this illness will be gone, or that one will progress. The details might change, but the message was always: The answer will be clear. I did not accept—could not conceive—the immense space that uncertainty inhabits within the borders of my medical world. Instead I believed that, if one has enough imagination, studies intensely enough, and asks the right questions, there is always a correct diagnosis, prognosis, and cure. The first goal is to name the diagnosis. If I had allowed uncertainty a place in my discourse I would have thought I had done wrong. In the late twentieth century and at the beginning of the twenty-first, I thought, sometimes said out loud, our knowledge is exceedingly great. How can we not know? I am less arrogant today. I now accept that uncertainty occupies a substantial part of the world in which my patients, my students, and I live. We do not need to hide it from view. It is not cause for fright. Uncertainty is just another tool that we can learn to use. How did I learn to accept uncertainty? I used to think that if I did not understand a diagnosis the problem lay in me—an unconfident student’s normal fear. Later, when I was a resident physician answering interns’ questions, a young professor replying to students, or a doctor talking to patients, I began to think that some of my answers were superficial. I said to myself, as I rambled on, when this conversation ends I will ask a more experienced colleague, or I will re-read the relevant scientific papers, because I am uncertain that the glib answer I just gave is precisely true. One later day, oblivious to personal growth, standing before a group of students or behind a lectern in a hall, I was surprised to see the audience’s eyes directed to me, expectant, asking for clear answers. Asking for certainty from me! The moment was surreal. I suddenly saw that they deemed my words “authoritative”, a not completely bizarre circumstance, because by this time I had talked to, and sometimes collaborated with, luminaries who were the sources of the information that I now shared. I had attended professional meetings and had sat on committees. Perhaps I did have authority for the (small, transient) topic at hand. Uncertainty? Everything we hear and read in news stories, in medical textbooks, and in lectures from professors like me, says that medicine has great knowledge. True, if you ignore the obvious: Although yesterday we knew much less, tomorrow we will know much more. We continue to add to our knowledge. Today is a very small point on a very long line of Time. There is always more to learn. How did I come to embrace uncertainty? Not from my professors. My patients taught this lesson to me. Patients taught me? Teaching her doctor is not a patient’s goal. A patient wants clarity, wants us to solve problems, predict futures, and make her well. A patient does not want to hear that her doctor does not know. Unpredictability of human illness is the source of the lesson. Doctors set and live by clear-cut rules, but illnesses ignore these rules. This patient’s symptoms are too subtle to assign a diagnosis name. That patient’s symptoms change with passing time; those of another combine elements of multiple ills and reconstitute themselves in unrecognizable ways. According to doctors’ rules, diagnosis implies treatment and treatment implies cure. It is different in the world of chronic illness: Doctors ameliorate, not cure. We monitor changes that take decades to be seen. Illnesses advance and withdraw in unpredictable ways. Patients, students, and trainees ask me why. Trying to explain the inexplicable, I begin to think about uncertainty. How then to share this concept? Do we talk about our uncertainties with the patient, or do we keep them to ourselves? No public forum addresses this concern. In this book, I pose the question to you. We will have a conversation and decide together what to do. I make my points by using patients’ stories. The stories include passion and anguish and anger, sourced in a patient’s pain, and disability, or frustration. My own anger may show through; it finds its origins in the organizational flaws that at times constrain imagination and contradict logical thought. I tell my patients’ stories from my point of view. If I have misunderstood their messages, I apologize. I hope someone else will speak on their behalf. 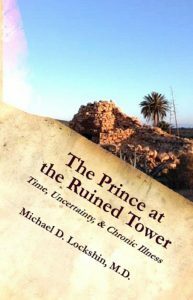 In Part I of this book I talk about how patients, doctors, and administrative systems respond to uncertainty of diagnosis. What happens when patients fit no conventional nosology; when their symptoms and laboratory tests contradict one another; when diagnoses change over time; or when precision molecular diagnoses adds no meaning to a patient’s care? Part II examines uncertainty’s boundaries. When doctors disagree about basic facts, is that error or is it uncertainty? What if they agree about the facts but disagree about what they should do? What happens when acknowledging uncertainty does not relieve a patient’s pain? How does one proceed when patients demand certainty that the doctor cannot provide? Part III is about Time: How diagnoses and doctors’ concepts change over decades. Part III also describes sums of the circumstantial socioeconomic and biological factors that bring one individual patient to one specific practice site at one specific time, and how a different set of circumstances might lead to a different result. Part IV considers how organizational constraints of modern American medicine presume a degree of certainty impossible to achieve and thereby threatens the honesty required for mutual trust. In Part V I discuss how we prioritize facts to make a diagnosis, some of us relying on basic science, others on humanistic features, still others on both. This foray into philosophy contrasts the insights and the deceptions imparted by animal models of human illness; the how of an illness compared to its why; and how qualitative versus qualitative thinking differently describe illness. The melding of these conflicting ideas puts the concept of uncertainty into words, though uncertainty does not need articulation—it can be conveyed non-verbally. One can hear music in the words (a thought that came to me as I read a commentary on an obscure French poem, a thought that gives the title to this book). Part VI concludes with a roadmap for doctor, patient, student, and public to talk about uncertainty, to define it, to measure it, and to use it as a tool. If I can successfully convey the nature of this journey, we will share a common language. We can begin our conversation. Let the journey begin.